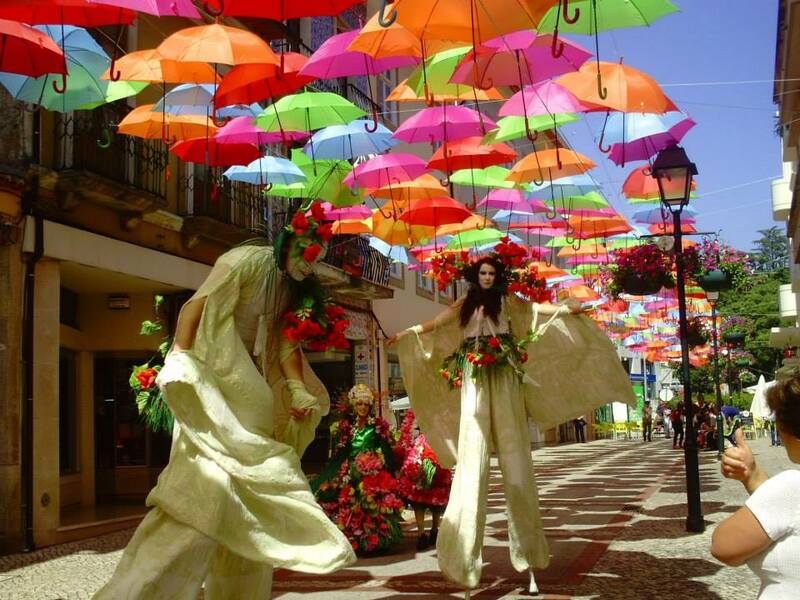 The Umbrella Sky Project began in 2011 as a part of the city of Águeda's famous annual Ágitagueda Art Festival in Portugal. 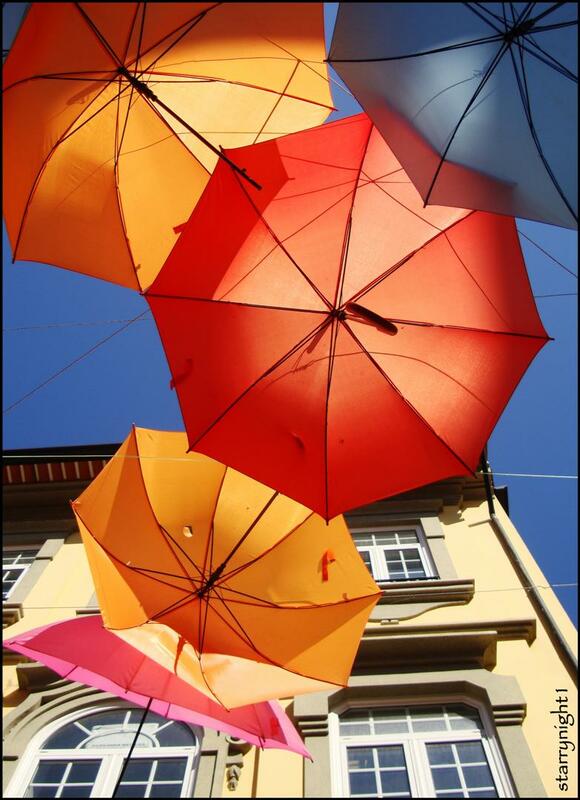 Each year, during the hot summer months of July, August, and September, a handful of the city’s narrow streets gain colorful umbrella canopies that provide shade for the pedestrians passing through. 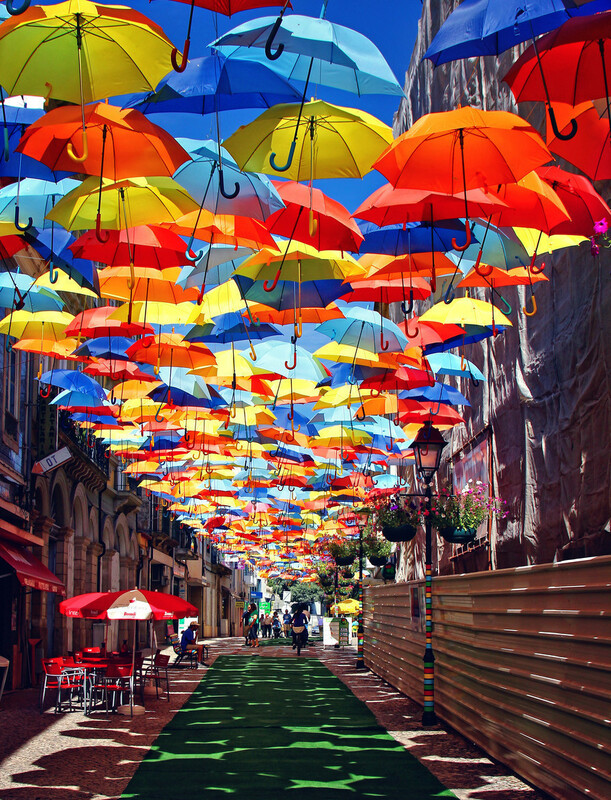 Rooftop cables are strung with numerous parasols that help cool the roadways in a creative and cost-effective way, and the sea of umbrellas forms a unique geometric pattern overhead as well as changing shadows on the roadway below. Programming like outdoor workout classes give this shaded area an added layer of functionality, enabling high-energy and fitness activities despite high summer temperatures.